Hopewell Furnace National Historic Site in southeastern Berks County, near Elverson, Pennsylvania, is an example of an American 19th century rural “iron plantation”. The buildings include a blast furnace, the ironmaster’s house and auxiliary structures including a blacksmith’s shop, a company store and several worker’s houses. Hopewell Furnace was founded in 1771 by ironmaster Mark Bird for whom Birdsboro was named. 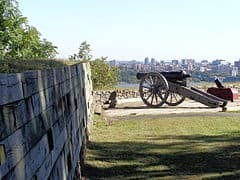 The site’s most prosperous time was during the 1820–1840 period with a brief boom in production during the American Civil War. In the mid 19th century changes in iron making, including a shift from charcoal to anthracite rendered smaller furnaces like Hopewell obsolete. 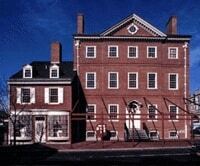 The site discontinued operations in 1883. 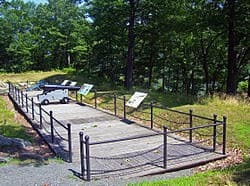 Today, Hopewell Furnace consists of 14 restored structures in the core historic area, 52 features on the List of Classified Structures, and a total of 848 mostly wooded acres. 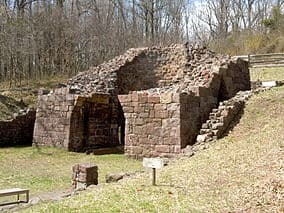 Hopewell Furnace National Historic Site is located in the Hopewell Big Woods and surrounded by French Creek State Park on three sides and the State Game Lands to the south which preserves the lands the furnace utilized for its natural resources.